Description/Historical Information: 2/6th Sherwood Foresters (Nottinghamshire & Derbyshire Regiment). Lance Corporal. 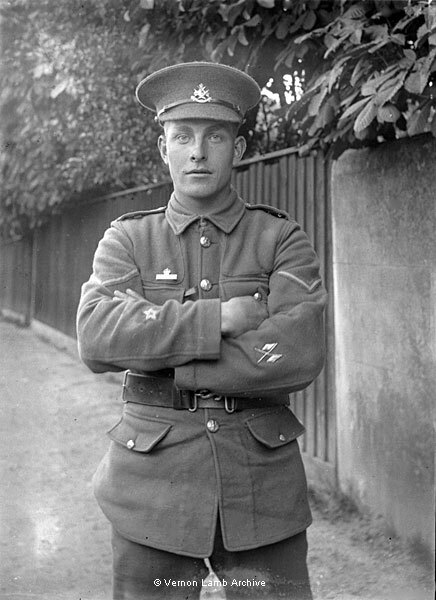 The badge on his left sleeve indicates that he was a signaller, whereas significance of the five pointed star on the right is not yet known, but may be an NCO proficiency star. The location is not known, but the same fence is shown in VLA9769 and VLA9815.